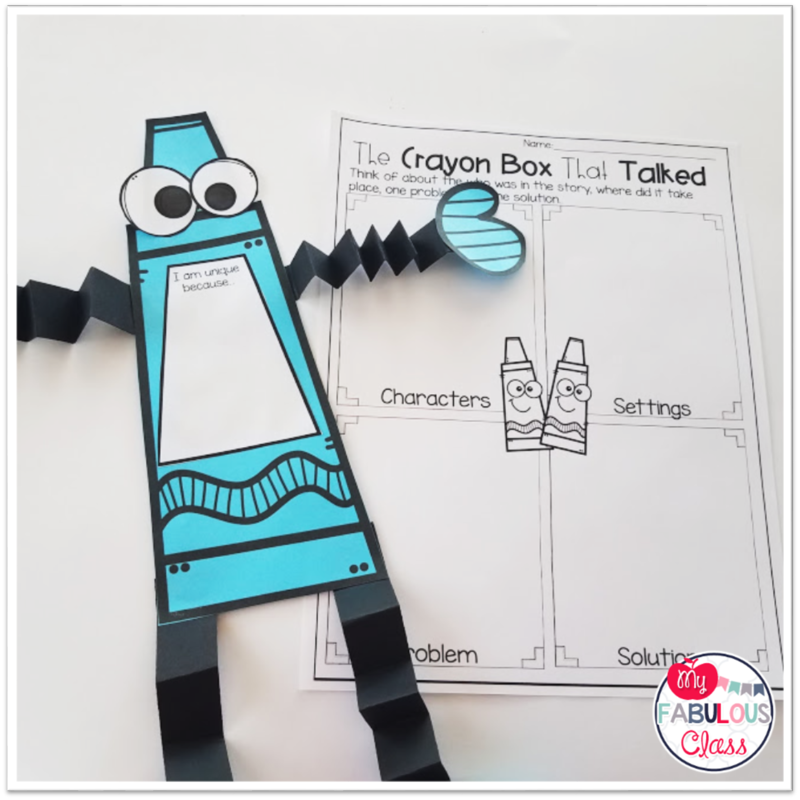 Have your ever read The Crayon Box That Talked? It is a great story to read at the beginning of the year or anytime you may want to work on classroom community. At the beginning of the story, a little girl hears a crayon box talking at the toy store. The crayons do not like each other.She takes the crayons home and shows them how together, they can make a prettier picture.It is a great story about how important it is to be unique. You can buy the book on Amazon here. As a special education teacher in an inclusion classroom, I am always looking for great books that help build a classroom community. 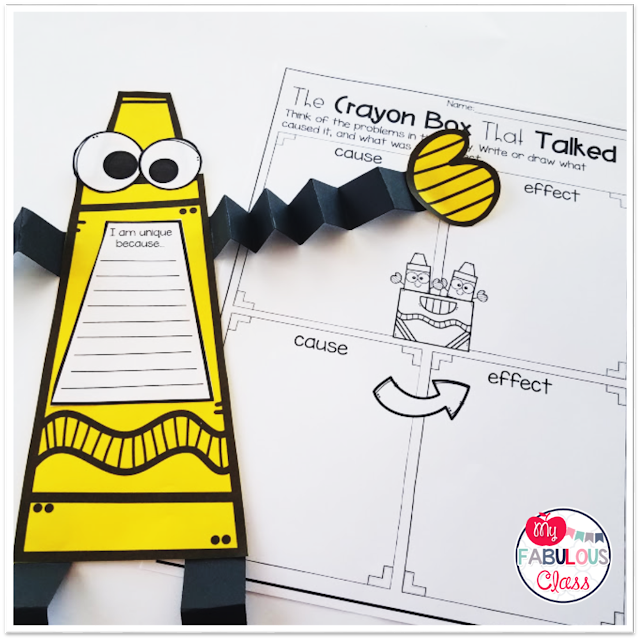 I am very excited about the Interactive Read Aloud Unit that I created for this book. I have included vocabulary words fro the text, with pictures, definitions, and sentences. There are also comprehension questions for Think, Pair, Share time. For this, I give a question, and i have students turn to their partner to discuss an answer. At the beginning for the year, I always model my thinking, but I like to still give students a chance to speak with a partner. There are writing response sheets for students to draw or write to show their understanding. 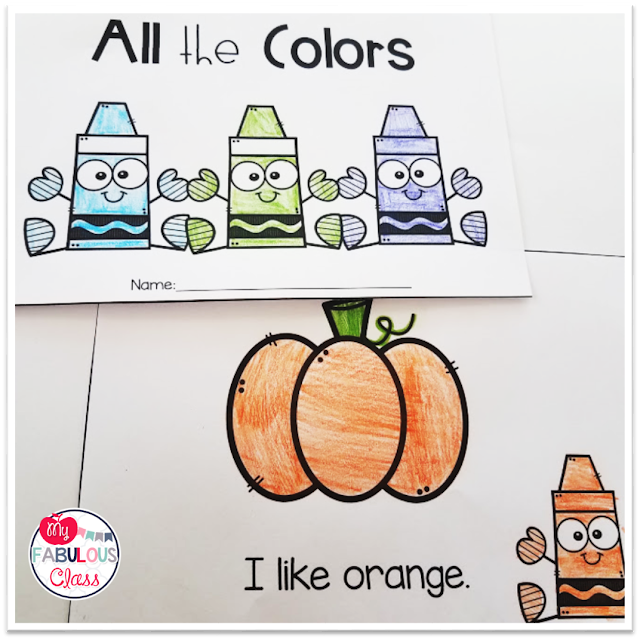 I love the one color versus many colors sheet. This not only shows how important every color (person) is, it doe carry into writing and how we draw pictures with multiple colors. 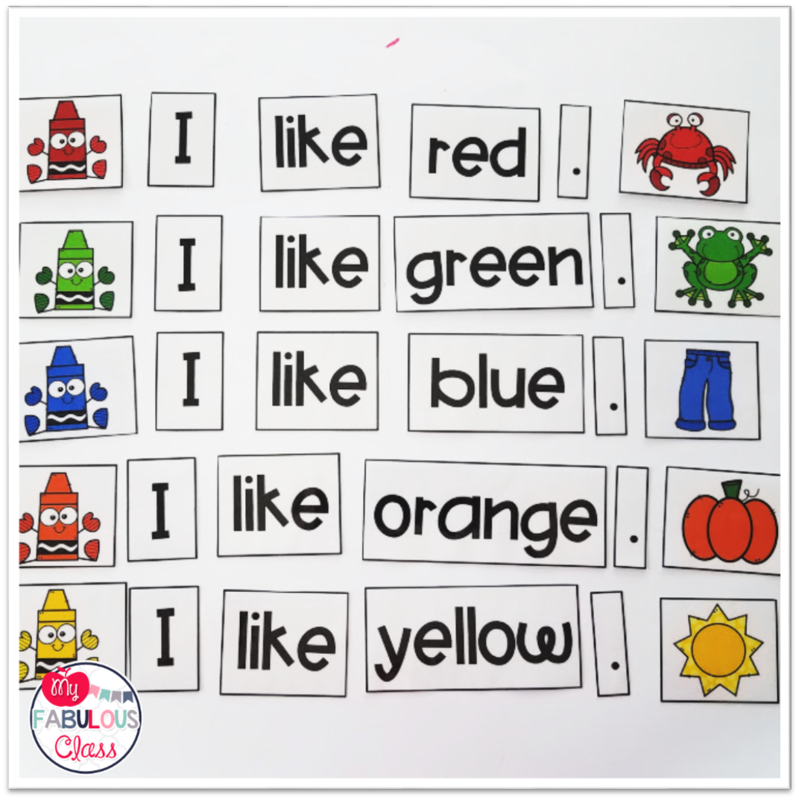 Since we are talking about colors, I have included a student reader and pocket chart sentences for working with colors. 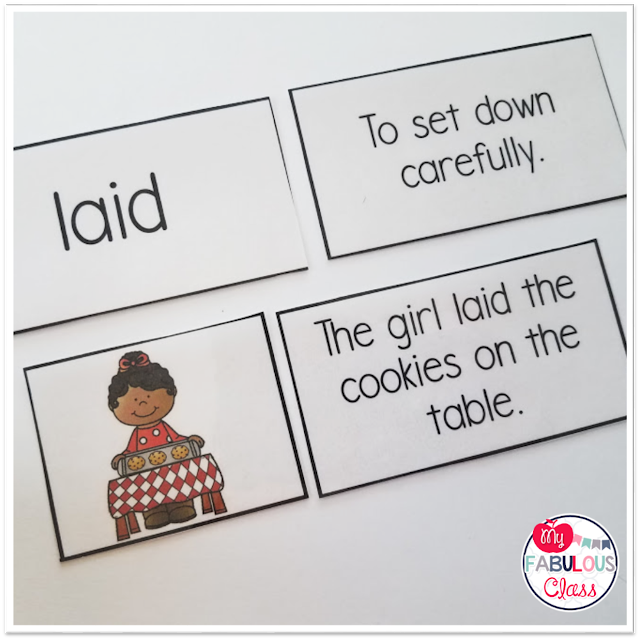 These will be great to carry the unit over into literacy centers. Finally, I included an adorable craft. You all know how much I LOVE crafts. I always try to tie them back something academic, but I think it is so important for students creativity. This includes a writing prompt where students can share what makes them unique. 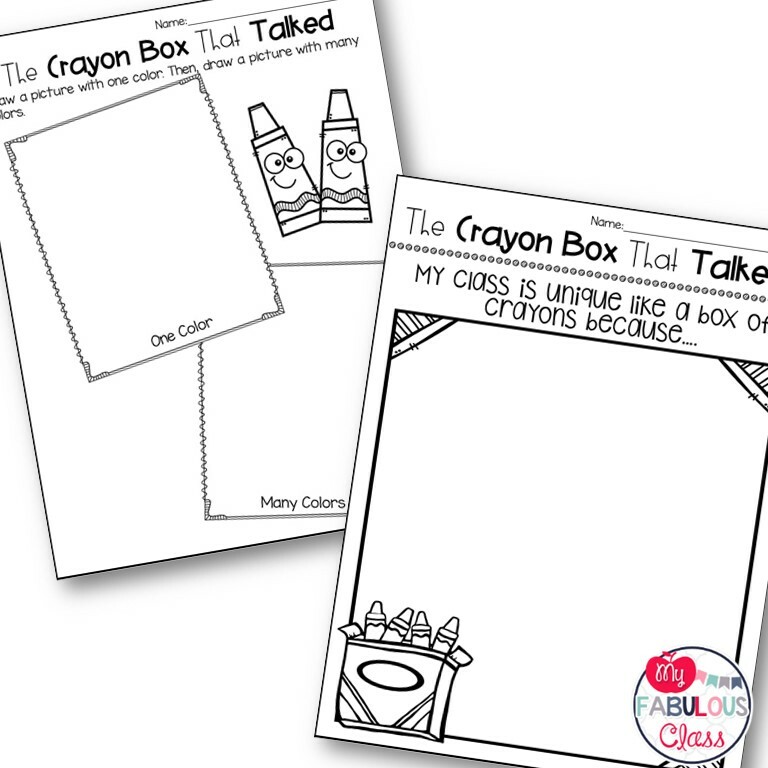 You can buy The Crayons That Talked Interactive Read Aloud here. I plan on creating a lot more Interactive Read Alouds/Book Companions for Community Building This Summer. Do you have a favorite book for building community? I would love to hear about it. 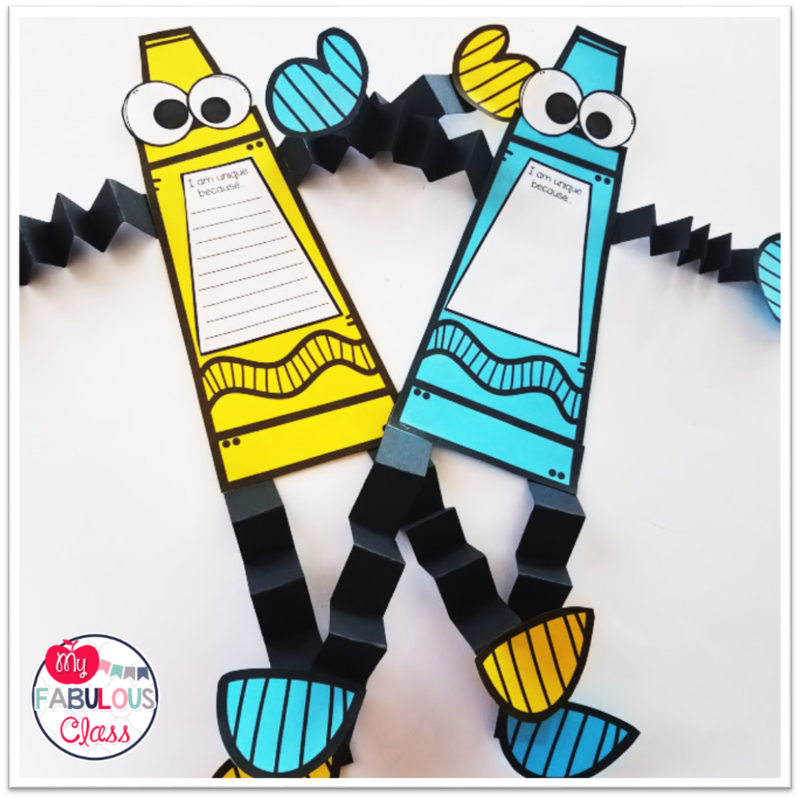 Summer Math Centers With Freebies!